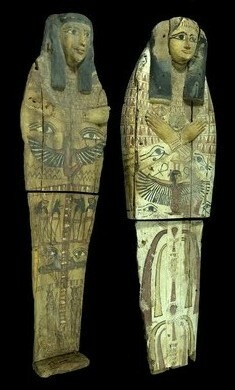 The Egyptian diplomacy succeeded in retrieving 2 New Kingdom wooden sarcophagi lids after they were found in a bazaar in Jerusalem. Dr. Mohamed Ibrahim, Minister of Antiquities, said that it was a team work between the MSA and the Minister of foreign affairs through the Egyptian embassy in Tel Aviv. The Egyptian authorities were engaged in diplomatic negotiations took a year with the Israeli side and Egypt’s rights were proved as well as that they were stolen and illegally taken out of Egypt. Dr. Osama El Nahass said that the two objects were found during a regular inspection by the Israeli authority and when they noticed that both pieces were cut in the middle by a saw it led to questioning the bazaar owner on how he obtained them. The bazaar owner stated that he bought them from a dealer in Dubai then he shipped them to Israel through London after paying the customs fees which is considered illegal according to the Israeli standards. 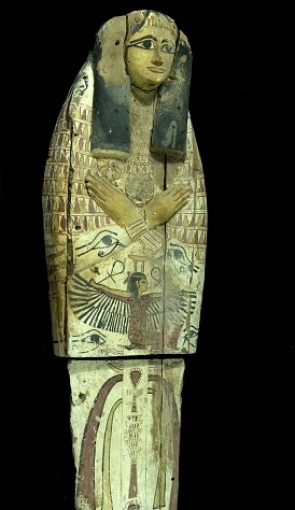 The objects will be returned to Egypt once the legal procedures are finished.